Symbolic weddings ceremonies, and the profession of symbolic wedding celebrant, are becoming more and more common both in Italy and abroad. Lake Orta, with its romantic and intimate atmosphere, is the ideal lakeside setting, with the splendid San Giulio Island in the background. Rossana Trabattoni, celebrant, organises symbolic wedding ceremonies at Lake Orta as well as other locations. She celebrates symbolic weddings in Lake Como, Lake Maggiore, Lake Garda, in Lombardy and Piedmont, and she is available for ceremonies throughout Italy. Rossana Trabattoni conducts weddings in Italian and in English, and in any language with the help of a translator. Rossana has celebrated weddings in numerous prestigious locations at Lake Orta, Lake Maggiore, and in the Varese area, including: Villa Bossi (Orta’s Townhall), Villa Gippini (Hotel San Rocco Orta), Villa Claudia Dal Pozzo near Stresa, and Rocca di Arona Fort (a beautiful panoramic location, which has only recently been made available by the local authorities for civil and symbolic weddings). Other locations include Tenuta La Quassa and Villa Rocchetta both in Ispra, on the Lombardy side of Lake Maggiore, and Cascina Diodona in Malnate, in the Varese area. 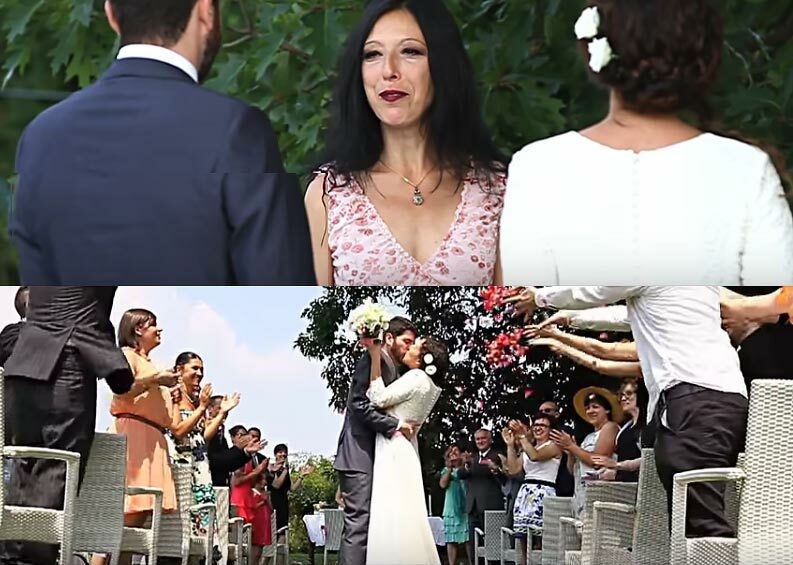 Take a moment to watch this video and immerse yourself in the magical atmosphere created during a symbolic wedding organised by the celebrant Rossana Trabattoni. The video was shot during a romantic ceremony at Tenuta La Quassa in Ispra on Lake Maggiore. Enjoy the video! As a celebrant, Rossana offers the bride and groom a unique and heartfelt symbolic ceremony created especially for them. The bride and groom may choose their own readings, poems, vows, and music, in order to make the wedding personal and creative. If they wish, they may also include their favourite rituals: Candle Lighting Ritual, Sand Ritual, Memory Box Ritual. Rossana can also provide the perfect soundtrack for a powerful and unforgettable wedding. The bride and groom may choose their preferred instruments: harp, violin, strings, piano, soprano, saxophone, trumpet, and others. Rossana Trabattoni celebrant for symbolic weddings offers her professional experience and creativity to make your big day special and unique!